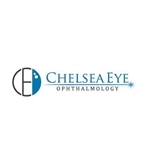 Chelsea Eye Ophthalmology (New York) - Book Appointment Online! Chelsea Eye Ophthalmology is downtown Manhattan's leading eye care, and laser surgery center. Founded in 1989, the facility expanded 10 years later to its present location in the heart of Chelsea's gallery district. Dr Yelgar is wonderful - he greeted me w kindness, made some jokes, and answered all my questions with simplicity. Appreciate his bedside manner and professionalism. The wait time was longer than expected (~20min checkin/filling out paper work and 20 min wait). I came 30 min before my appt to fill out paperwork but still did not see anyone til 20min after my scheduled appt time. I was seen last by a technician, even though I checked in before others in the waiting room. Even the front receptionist was confused. Overall, I was in the office for a little over an hour. Office was clean and respectful. Was in and out of the door in under an hour with a prescription. I would go back!